The most important book in the world? "The idea that the euro has "failed" is dangerously naive. The euro is doing exactly what its progenitor – and the wealthy 1%-ers who adopted it – predicted and planned for it to do. That progenitor is former University of Chicago economist Robert Mundell. The architect of "supply-side economics" is now a professor at Columbia University, but I knew him through his connection to my Chicago professor, Milton Friedman, back before Mundell's research on currencies and exchange rates had produced the blueprint for European monetary union and a common European currency. "It's very hard to fire workers in Europe," he complained. His answer: the euro. - The euro would really do its work when crises hit, Mundell explained. Removing a government's control over currency would prevent nasty little elected officials from using Keynesian monetary and fiscal juice to pull a nation out of recession. "It puts monetary policy out of the reach of politicians," he said. " (And) without fiscal policy, the only way nations can keep jobs is by the competitive reduction of rules on business." He cited labor laws, environmental regulations and, of course, taxes. All would be flushed away by the euro. Democracy would not be allowed to interfere with the marketplace – or the plumbing. As another Nobelist, Paul Krugman, notes, the creation of the eurozone violated the basic economic rule known as "optimum currency area". This was a rule devised by Bob Mundell. That doesn't bother Mundell. For him, the euro wasn't about turning Europe into a powerful, unified economic unit. It was about Reagan and Thatcher. "Ronald Reagan would not have been elected president without Mundell's influence," once wrote Jude Wanniski in the Wall Street Journal. 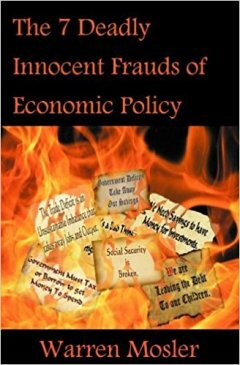 The supply-side economics pioneered by Mundell became the theoretical template for Reaganomics – or as George Bush the Elder called it, "voodoo economics": the magical belief in free-market nostrums that also inspired the policies of Mrs Thatcher. "The euro has taken away the possibility for national governments to manage their economies in a meaningful way — and in Italy, just as in Greece a couple of years ago, the people have had to pay the true costs of its concomitant misguided austerity policies. - The unfolding of the repeated economic crises in euroland during the last decade has shown beyond any doubts that the euro is not only an economic project but just as much a political one. What the neoliberal revolution during the 1980s and 1990s didn’t manage to accomplish, the euro shall now force on us. At least 90% of the Greek bailout has paid off reckless lenders, Jan 2015, Jubilee D. Camp. 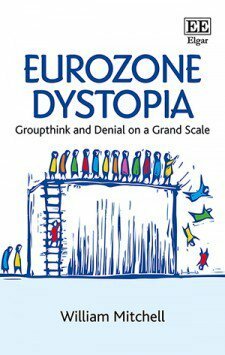 Sustaining the Unsustainable Eurozone, March 25, 2015, Yannos Papantoniou (Greece’s Economy and Finance Minister from 1994 to 2001). 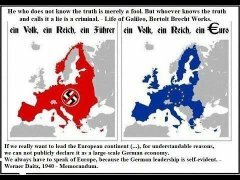 “Europe does not say what it does; it does not do what it says. It says what it does not do; it does what it doesn't say. Europe is an optical illusion. "The Nobel Factor tells how the prize, created by the Swedish central bank, emerged from a conflict between central bank orthodoxy and social democracy. The aim was to use the halo of the Nobel brand to enhance central bank authority and the prestige of market-friendly economics, in order to influence the future of Sweden and the rest of the developed world. And this strategy has worked, with sometimes disastrous results for societies striving to cope with the requirements of economic theory and deregulated markets." We Move Europe - Sign Up!